I still struggle to believe it's 2014, never mind the end of the year, nearly, but I'm reliably informed that I'm wrong. Not for the first time, nor the last, naturally. The end of the year has come to mean something new to me, in recent years. There's Santa, sure; the birthday of the baby Jesus, but of course; and a bit of a break—yay! In advance of all that, though, the end of the year has, since the dawn of The Speculative Scotsman, signified a period of comprehensive critical consideration. To that end, I tend to keep a list: of all the books I've read, the movies I've seen, the video games I've played, and so on. I failed at that in 2014, for various reasons, so forgive me, folks, if I overlook more than I usually do when the time comes to tackle Top of the Scots. 2014 has been a banner year for British science fiction, beginning with The Echo by James Smythe—an immensely upsetting sequel that doubled down on the awesome promise of its unsettling predecessor—continuing courtesy Claire North’s fantastic Life After Life-alike, The First Fifteen Lives of Harry August—a very different sort of novel than The Echo, yes, yet no less memorable—and concluding, because we’re already running out of room, by way of The Bone Clocks: the closest thing the man who came up with Cloud Atlas has written to a proper genre novel over the course of his career. Reading through the other reviewers' recommendations, it's clear that I've completely failed at fantasy in 2014. 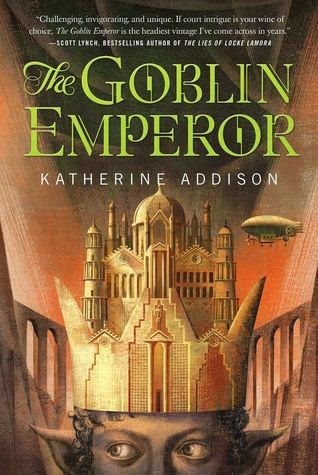 I haven't read The Goblin Emperor by Katherine Addison, City of Stairs by Robert Jackson Bennett or The Mirror Empire by Kameron Hurley, though I sincerely mean to make time to catch up on those books over the break. Horror-wise... well. Here's where the lack of a list has really ruined me. I remember really liking the opening act of Revival by Stephen King, but it ended—spoiler warning—with giant evil ants, and gah all over that. To the best of my recollection, then, the only horror story that really stands out to me is the Southern Reach series by Jeff VanderMeer. Annihilation might just be the best book of the year, according to me. We'll see. But please, you tell me: what have you read in 2014 that really rocked your socks? My favorite reads of the year were "The Girl With All the Gifts" by M.R. Carey and Nick Harkaway's "Tigerman". I also very much enjoyed "Half a King" by Joe Abercrombie. Checking my goodreads ratings, I see that from the books that I read in 2014, none published in this year managed to get a perfect 5-star rating for me (there were some 4s though). But... I'm gonna start reading Ancillary Sword tonight. 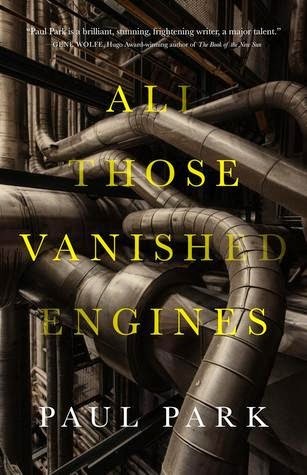 Ancillary Justice was a 4.5 for me; will the sequel be better enough to get a 5?